Enter into, modify and conduct contractual relationships. 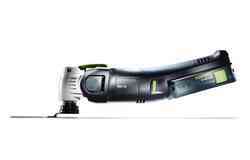 1.3 This data is collected and processed by Festool and its affiliated companies [in particular, TTS Tooltechnic Systems AG & Co. KG and the companies specified at http://subsidiaries.festool.com], and is used solely for the respective business purpose. You can find more details on the individual purposes in the supplementary information. 1.4 You can contact our Data Protection Officer at datenschutz@festo.com or our postal address, FAO "Data Protection Officer". 2. How is your personal data processed? We primarily collect, store and process your personal data for the sole purpose of fulfilling our contractual obligations to you or where you have given your consent for us to do so. However, we also use your data for the purpose of complying with procedures or legal provisions that affect us, provided that this is necessary to safeguard our own legitimate interests or the legitimate interests of others, in order to enforce, protect or exercise our rights or to defend ourselves against claims. 2.2.2: In particular, the collection and processing of personal data is necessary for entering into, modifying and conducting contractual relationships, so that we can fulfil our contractual obligations. You can find more details on this subject in the supplementary information. Some data is obtained whenever you visit our website. This data is analysed for technical purposes solely on an anonymous basis. No statistical analysis is performed. Cookies are small files containing a string of characters which store certain information in plain text or encrypted form. Cookies are sent by the server to your computer, where they are stored. Their primary purpose is to identify the computer from which a website has been accessed. If you sign on to a website, cookies are used to notify the server of the sign-on and check the permissions for accessing the page. Every cookie has an expiry date, after which it is no longer valid. The user’s path through various pages of the website and even across various websites can be tracked using cookies. By using cookies, we can improve communication between our server and your computer, thus making it easier to use a website. Cookies can be generated by both the website operator and third-party providers. Your browser gives you the option of displaying the cookies which exist on your computer, deleting existing cookies, or configuring the settings so that not all, or no further, cookies are stored. Please be aware that some functions will not work, or will not work properly, if you block cookies. This website uses Google Analytics, a web analysis service provided by Google Inc. (1600 Amphitheatre Parkway, Mountain View, CA 94043, USA), or Google for short. Google Analytics uses text files known as cookies. Cookies are stored on your computer and generate information about your use of our website. The first sentence of Article 6(1f) GDPR provides the legal basis for the use of Google Analytics. This information is sent for storage on a Google server in the USA. IP address anonymisation is active on this website, meaning that your IP address is shortened by Google within the member states of the European Union or in other states party to the Agreement on the European Economic Area before it is sent. The full IP address is only sent to a Google server in the USA and shortened there in exceptional cases. In exceptional cases where personal data is transferred to the USA, Google complies with the EU-US Privacy Shield (https://www.privacyshield.gov/EU-US-Framework). 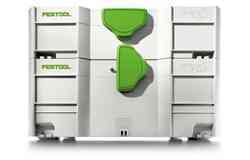 Google uses the information produced to create analyses and reports on website usage and activity on behalf of Festool GmbH and in order to render additional services relating to the use of the website and the internet for Festool GmbH. In particular, this involves functions relating to display advertising such as Google Analytics service reports, categorised according to demographic characteristics and interests. Google Analytics service reports categorised according to demographic characteristics and interests include data and third-party provider visitor data (such as age, gender and interests) acquired through targeted advertising by Google. Google may also transfer this information to third parties where required by law or insofar as third parties process this data on behalf of Google. The IP address relayed by your browser within the scope of Google Analytics is not linked to other Google data. You can prevent the use and storage of cookies by changing your browser software's settings accordingly. However, please bear in mind that you may not be able to make full use of all the functions on this website if you do so. This website uses Google Tag Manager, provided by Google Inc. (1600 Amphitheatre Parkway, Mountain View, CA 94043, USA). Google Tag Manager is used to manage website tags via an interface. No cookies are set and no personal data is captured when Google Tag Manager is used. The tool causes other tags to be created which may potentially capture data. Google Tag Manager does not access this data. If deactivation was carried out at domain or cookie level, it remains in place for all tracking tags implemented with Google Tag Manager. The first sentence of Article 6(1f) GDPR provides the legal basis for processing your data. This website uses the Google AdWords remarketing function, provided by Google Inc. (1600 Amphitheatre Parkway, Mountain View, CA 94043, USA). The first sentence of Article 6(1f) GDPR provides the legal basis for processing your data. Through targeted advertising on Google partner network sites, the Google AdWords remarketing technology gives us a way of reconnecting with users who have already visited our website and shown an interest in our product range. A cookie is created when our site is visited so that the user can be recognised when he or she visits a site belonging to our advertising partners. In addition, user behaviour can be analysed and subsequently used for targeted product recommendations and interest-based advertising. The data stored in the cookie is not combined with other personal data to create user profiles. By using this website, you agree that data relating to you and collected by Google may be processed in the aforementioned manner and for the aforementioned purpose. However, please bear in mind that you may not be able to make full use of all the functions on this website if you do so. You can find further information on Google's terms at www.google.com/policies/privacy/. This website uses remarketing tags from the social network Facebook, 1601 South California Avenue, Palo Alto, CA 94304, USA. These remarketing tags create a direct link between the Facebook server and the user's browser when our website is visited. This sends a record of which of our web pages the user has visited using their IP address to the Facebook server. Facebook matches this information to the personal Facebook account of the user. This information is available for us to use when displaying Facebook ads. We would like to expressly state that we do not receive any information regarding the content of the data that is transferred or their use by Facebook in our capacity as the website operator. For more details on the collection and use of this data by Facebook, your associated rights and options for protecting your personal data, please refer to Facebook's data policy, available at www.facebook.com/about/privacy/. If you do not want Facebook to directly link the collected information to your Facebook user account, you can deactivate the "Custom Audiences" remarketing function here. You must be logged in to Facebook to do so. The first sentence of Article 6(1f) GDPR provides the legal basis for processing your data. On our website the plugins are recognisable by the respective companies’ logos or the "Like" or "Recommend" add-ons, for example. When you visit one of our websites which contains this type of plugin, your browser establishes a direct connection with the relevant company’s servers, and the content of the plugin is, in turn, transmitted to your browser, which incorporates it into the website being displayed. This is how the fact that you have visited our website is passed on to these companies. We are neither able to influence the data collected and processing operations, nor are the full extent of the data collection, the purposes of processing and the retention periods known to us. Neither is there any information available to us concerning the erasure of the collected data by the provider of the plugin. The provider of the plugin stores the data collected about you as a usage profile and uses this profile for the purposes of advertising, market research and/or tailoring the design of their website to demand. Analysis of this kind is primarily carried out (including for users who are not logged in) in order to display appropriate advertising and to inform other users on the social network about your activity on our website. You have the right to object to the creation of this user profile, and if you wish to exercise this right you must contact the provider of the respective plugin. We use these plugins to enable you to interact with social networks and other users, and to enable us to improve our service and design it so that it is more interesting to you as a user. The first sentence of Article 6(1f) GDPR provides the legal basis for the use of these plugins. In our Festool Order app and Work app we use “Adjust” by Adjust GmbH, Germany, to analyse the user behaviour in Festool apps for third party advertisement campaigns. Adjust uses the IDFA (Identifier for Advertiser) service by Apple Inc., Cupertino (CA), USA or Google Play Services ID by Google Inc. 1600 Amphitheatre Parkway, Mountain View, CA 94043, USA) alongside your anonymised IP and MAC addresses. These data are anonymised in such a way that it is not possible to identify you or your mobile device. When a user installs a Festool app, Adjust saves the install and event data from your iOS or Android app. Adjust will transfer your anonymised tracking data to the user account of Festool at a third party advertisement campaign vendor. 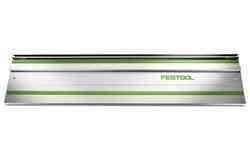 Festool uses the evaluation tools available under this account. This enables us to understand how users interact with our apps. The legal basis for such data processing conforms to article 6, section 1, page 1 lit. f GDPR. If you not wish tracking by Adjust, please deactivate the option “Send Analysis Data” in your Profile. In exceptional cases we may obtain information about you from third parties. This primarily concerns cases where your retailer has registered a tool that you have purchased for SERVICE all-inclusive. It is necessary to provide your name and address (as well as your email address) in order to register. In this case, however, we will inform you immediately and you have the option to object to further processing. Our website gives you the option of using a contact form to get in touch with us so that we can provide answers to your individual questions as well. In each case, we need your surname, first name, email address and message so that we can contact you. If you give us your phone number or postal address, we will also be happy to call you back with an answer to your question or contact you in writing. The first sentence of Article 6(1b) GDPR provides the legal basis for processing your data. The only required information for sending you our newsletter is your email address. Supplying additional data, identified separately, is voluntary and is used to address you personally. After you have given confirmation, we will store the data you provide in order to send you the newsletter (the first sentence of Article 6(1a) GDPR provides the legal basis for this). You can withdraw your consent to the sending of the newsletter at any time and unsubscribe from the newsletter. You can declare your withdrawal of consent by clicking the link provided in each newsletter email. " 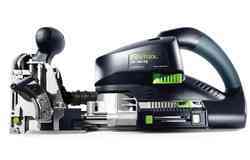 You can register for our free myFestool service. The first sentence of Article 6(1b) GDPR provides the legal basis for processing your data. 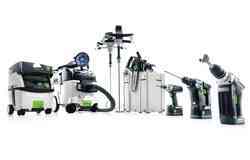 This gives you online access to Festool’s full range of services. For registration, we need your first name, surname, email address and postal address as well as your company’s business sector. 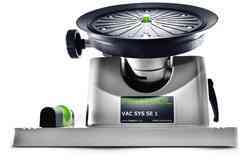 If you use our additional services within myFestool, additional personal data (e.g. device data for SERVICE all-inclusive) may be required. To delete your myFestool account, please log in to the myFestool area and click on the “Delete myFestool account” link in the Personal data area. Our free information service can notify you about attractive offers, new products and tips for optimising the use of machinery. We need the name, address and business sector of your company,plus a contact name for this service. 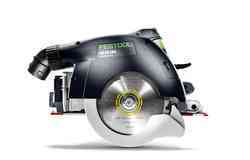 You can use the Festool ideas platform to send us your idea for improving our products. We have provided you with a form for submitting your idea, for which we need your contact data and details of your idea. The special conditions in the non-disclosure statement available on the platform apply. The first sentence of Article 6(1b) GDPR provides the legal basis for processing your data. 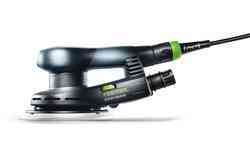 You can also manage important online functions with your smartphone by using the Festool app. This includes management of your Festool account, registration for SERVICE all-inclusive, an overview of your registered devices, direct contact with Festool, and a dealer search facility using GPS or a search form. In general, no further personal data is collected when compared with the traditional method of using these services. The system has a location identification option for the dealer search. The user is free to accept this location identification as ascertained by the system or enter a location of his or her choice instead. The first sentence of Article 6(1b) GDPR provides the legal basis for processing your data. The Festool app collects and processes more data than the traditional method of using these services. This additional data comprises the user's personal details (first and last name, email address), their role permissions within your company and their saved shopping lists. This data and the personal profile are stored on the user's mobile device within the app even when offline. This additional data is submitted voluntarily and at your discretion. Please be aware that certain functions of the app will not work if you have not provided these details. For optimised use of individual functions within the Festool consumables app, you also have the option of storing your contact partners' details. 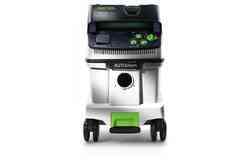 Festool processes this data exclusively within the scope of the app's user relationship. You remain the controller, within the meaning of the data protection regulations, of the contact details that you enter. Please ensure that you comply with these regulations. In the future, you will also have the option when purchasing Festool products which have a Bluetooth® interface to connect these products with your Festool Work app. 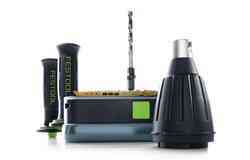 This means that you can find out information about the technical status of your Festool products (e.g. battery status) via your mobile devices (e.g. 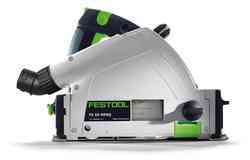 smartphone or tablet on which you have downloaded the app) or download supporting software updates for the Festool products. 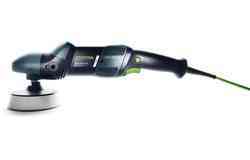 By connecting the Festool product and the mobile device, telemetric data is collected. We use this data for analysis purposes and for troubleshooting. 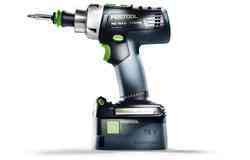 You can choose to connect a Festool product to your mobile device. 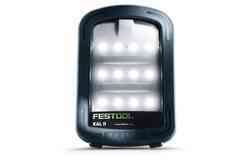 Should you not wish to transfer this data, please do not activate the Bluetooth® functionality on the Festool product. If you decide against this data transfer, you can of course still use the Festool product. It simply means that additional service functions via the app are not possible. 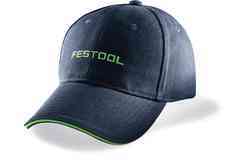 The Bluetooth® word mark and associated logos are registered brands of Bluetooth SIG, Inc. and any use of these brands by Festool takes place under licence. Any other brands or names belong to the respective owners. You can also register your tools through our website and access SERVICE all-inclusive in this manner. There are two ways of doing this: Log in using your MyFestool account or register the tools without using a MyFestool user account. To do so, we will need your first and surname, your address and email address, as well as your tool info. The first sentence of Article 6(1b) GDPR provides the legal basis for processing your data. 5. What rights can you exercise? You have the right to object to the processing of your personal data for direct marketing purposes at any time, without giving any reason. 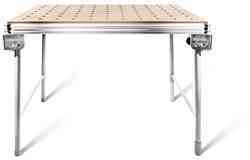 Please direct your written objection to Festool GmbH, Wertstr. 20, 73240 Wendlingen, Germany or send an email to: info@festool.com. Consent can be withdrawn at any time, either by using the link in the newsletter or by sending written notification. When cancelling the newsletter, you can also just remove individual newsletter topics at any time under the "Newsletter" tab, which is equivalent to unsubscribing from the newsletter. Information on cancelling a subscription can be found within every newsletter. Where we process your data for the purpose of safeguarding legitimate interests, you can object to the processing on grounds relating to your particular situation. We will then stop processing your personal data, unless we can demonstrate compelling legitimate grounds for processing which override your interests, rights and freedoms, or where the processing is used for the establishment, exercise or defence of legal claims. We wish to inform you that, in order to enter into and conduct contractual relationships, you must provide the personal data and company data necessary for establishing, fulfilling and terminating the contractual relationship and the performance of the associated contractual obligations, or that we are required to collect by law. If you exercise your right to object in this regard or do not provide us with this data, we will not be in a position to fulfil the contract with you. You can obtain information on the data stored about you personally from the respective controller. Furthermore, you can have your data rectified or erased if certain criteria are met. You also have the right to restrict the processing of your personal data, as well as the right to obtain the data you have provided in a structured, commonly used and machine-readable format. You can lodge a complaint with the aforementioned Data Protection Officer or the competent supervisory data protection authority. 6.1: We take technical and organisational measures to protect your data against unauthorised access, unintentional modification, accidental loss or unlawful destruction. Nevertheless, electronic or physical transfers and storage of data can never be completely secure. Every transfer is therefore made at your own risk. When the software application is downloaded from Apple's App Store or from the Google Play store, a licence agreement is established between you and Festool GmbH (hereinafter referred to as "Festool") governing the usage of the Festool Order app (hereinafter referred to as the "App"). The general terms and conditions of use are available from here (if you have downloaded the App from Apple's App Store) or from here (if you have downloaded the App from the Google Play store). Any other technical requirements for using the App, including which operating systems/versions and mobile devices are supported, are detailed in the application description found in Apple's App Store or the Google Play store. When you download the App, Festool grants you the gratuitous, non-exclusive, non-transferable right to use the App on a device that you own or have in your possession, which is capable of running the software with regard to the system requirements that you can read before accepting these terms in the Apple's App Store or the Google Play store. You are not permitted to copy or distribute the App or make it otherwise available to third parties (including rental, lease, loan or sub-licensing) or to use it in any other way prohibited by the respective originator(s). You are not authorised to change, reverse-engineer, decompile or disassemble the App's program code or parts thereof or in any other way identify the source code or create derived works from it. The above terms and conditions shall also apply for all updates/upgrades and program additions for the App, which Festool makes available for you to download via Apple's App Store or the Google Play store, provided these are not subject to a separate licence agreement. In that instance, solely the terms and conditions of the licence provisions applicable to that particular update/upgrade or program addition are binding. The App can contain individual components or modules ("Third-Party Software"), which are licensed by third parties by means of an open source licence. The documentation provides further information, as well as the licence provisions applicable to this Third-Party Software. The use of this Third-Party Software is subject to the provisions detailed in the documentation. 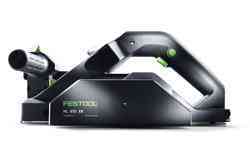 In addition, Festool reserves all rights to the App. You hereby consent to updates, which do not place you in an objectively less favourable position in terms of the service defined when the agreement was concluded and which do not present significant deviations from the aforementioned service, e.g. security updates, bug fixes and new and improved functionality, being automatically implemented in line with your operating system's settings. Adapt these settings as needed and contact your provider for more information. 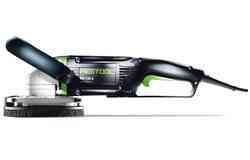 Festool has no influence in this regard. Should the updates require additional access rights, you will be notified of this before the installation takes place. If you do not consent to these additional access rights, the update will not take place and this may limit the functionality of the App or stop it from working altogether. 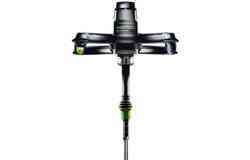 This rule applies mutatis mutandis if changes to the App are required in response to new requirements set by third parties whose services Festool employ or in response to major technical innovations on the market. Through the Festool Order app, we provide you with a variety of service functions. These include, for example, management of your myFestool account, registration for SERVICE all-inclusive, an overview of your registered devices, direct contact with Festool, and a dealer search facility using GPS or a search form. 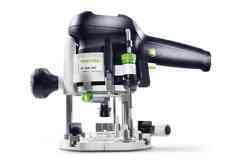 Please note that the full functionality of the App is only available if you are logged into your myFestool account and the App has established a data connection with the Festool server. To register for myFestool, you must enter your first and last names, your company name and your e-mail address (user identification). There may be regional variations to the information that is requested. You also have the option of entering additional data. Should you enter personal data relating to third parties, you are responsible for ensuring data protection regulations are adhered to. For security reasons, when logged into myFestool, you will automatically be logged out after a certain length of time. By activating the "Stay logged-in" function, you will not be automatically logged out of the user account until significantly later, e.g. after months. Please note that this convenience feature increases the risk of unauthorised use of the App by third parties with access (physical or virtual) to your mobile device. 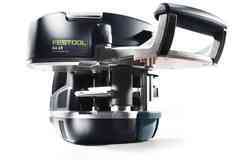 You are liable to Festool for any misuse by third parties. To deactivate the "Stay logged-in" function, you must log out of your user account. Closing the App does not change the status. Your mobile device has an active data connection. Availability of the App may be interrupted while essential maintenance and repairs are carried out.